Many of our clients have been left with the mission to carry out their loved one’s wish to have their ashes scattered at sea, but don’t know where or to whom to turn. Even funeral homes are at a loss to council families beyond the cremation service. Many people including funeral professionals don’t know that anyone can be buried at sea, not just Navy or other military personnel. Scattering Ashes at Sea is an option families and loved ones choose. For most of our customers, this is their first experience arranging of a sea burial and they do not know where to start. The process is really very simple and straight forward and Burial At Sea Services takes care of all the details. Because our customer service is responsive and sensitive to your needs you can feel free to call with any question, we'll answer honestly and to the best of our ability. To quote one of our clients: "I just wanted to send you a message to let you know that today was absolutely beautiful and you made the experience so much more memorable for us. We were all so nervous this morning before coming down as we did not know what to expect. 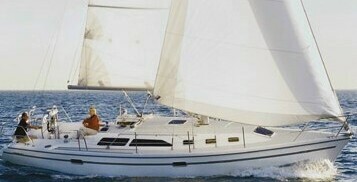 The sailing was so relaxing and you made the trip comforting for us and made us feel more at ease. Thank-you again." 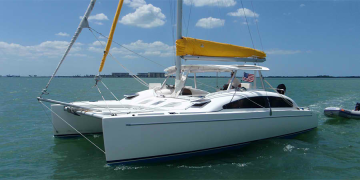 Charter Sails LLC was founded in 2003 as a charter sailing service. 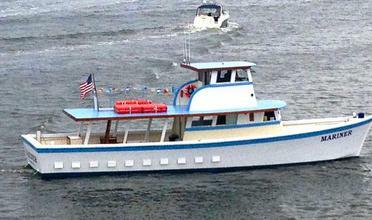 We operate a 34 foot Catalina (right) which is licensed to carry up to 6 passengers. Almost form the beginning customers have requested our services to scatter the remains of their loved ones. Burial At Sea Services was created to fulfill those needs. Today, through our affiliate companies, we can offer a variety of sail and motorized vessels which can carry up to 49 passengers. We strive to make the process as simple and worry free as possible. We take pride in our vessels and in the service we provide our clients as witnessed by their testimonials. Our Captains, Frank Muratore, Steve Spinelli, Mike Grecco, Dan Schade and Tracey Dell are United States Coast Guard licensed Master Captains, each having over 30 years of boating experience. 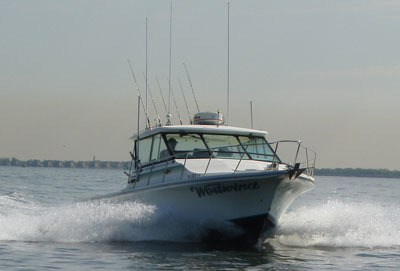 All vessels are fully insured and carry all Coast Guard required safety equipment. Westwind (6 passengers) here to add text. 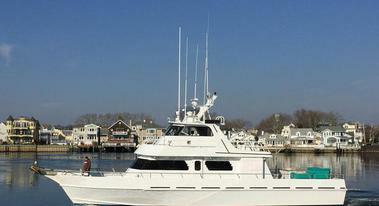 Belmar Marine Basin, Belmar, NJ.